Ernst, Max (1891-1976) and Paul Eluard (1895-1952) Misfortunes of the Immortals, trans. Hugh Chisholm. 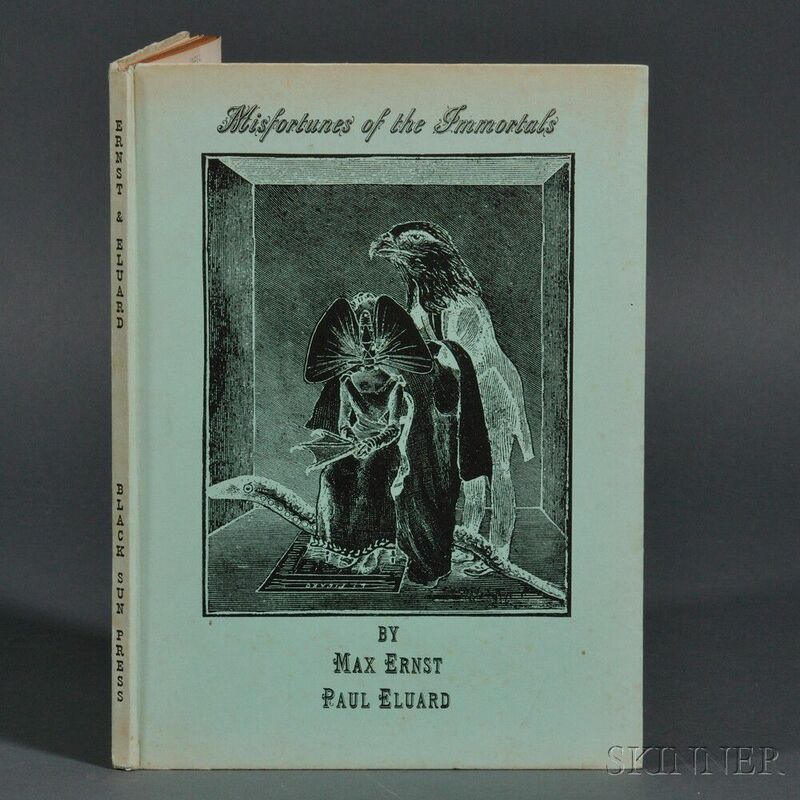 Ernst, Max (1891-1976) and Paul Eluard (1895-1952) Misfortunes of the Immortals, trans. Hugh Chisholm. New York: Black Sun Press, 1943. Quarto, limited edition (610 copies), twenty-two full-paged illustrations, publisher's green paper boards with illustration, the text toned, 10 x 7 in. "This edition is further augmented by three drawings Twenty Years After. 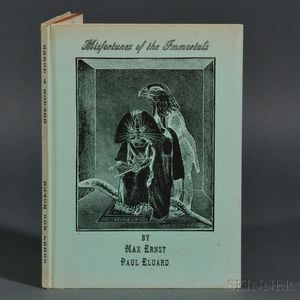 The Misfortunes of the Immortals was first published in Paris in 1920, originally revealed in French by Paul Eluard and Max Ernst, and now translated into English by Hugh Chisholm. This edition has been designed and published by Caresse Crosby, handset in Spartan type twelve point and printed at the Gemor Press in the city of New York, March 1943."